Sandscapes Landscaping offers a multitude of landscaping services and related outdoor improvement capabilities to turn anyone’s dream in to a reality! Sandscapes is able to design and develop new landscape projects from inception to completion while staying on deadline, and budget. Sandscapes Lanscaping offers services from Corolla to Avon, NC as well as Manteo and Currituck mainland in North Eastern North Carlina. Please be sure to visit our Project Galleries page to help inspire your new new project! Contact us via phone at (252) 202-4251, visit our Contact page, or send us an email. 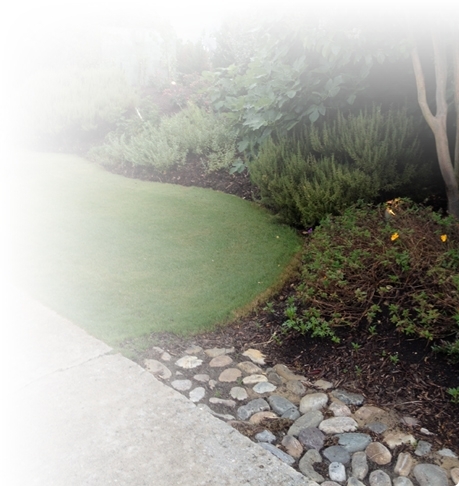 Sandscapes Landscaping offers high quality, hands-free maintenance of your lawn, plants, and trees. Our attention to detail is the best on the beach. 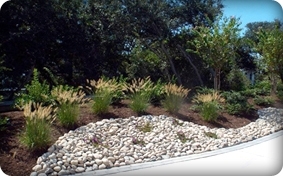 Sandscapes offers both residential and commercial pricing for maintenance services such as; grass cutting, fertilization, mulching, annual/perennial plantings, plant/tree trimming and weed control. Paver patios and walks are an excellent way to enhance your area and cut down on your use of concrete. 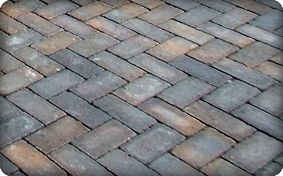 Pavers come in a variety of colors, shapes and patterns. Our vast experience in the proper placement and design for our paver projects allows Sandscapes Landscaping clients the peace of mind that comes with knowing they have added to the investment of their home. Natural Stone makes a showplace of any property. 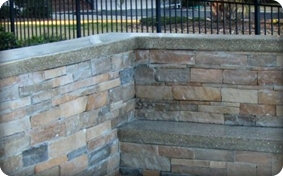 We specialize in flagstone walls, walks, patios, and stairs. 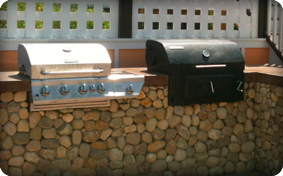 Stone can also be combined with wood or railroad ties for a more natural look. 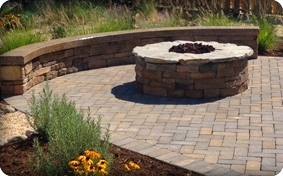 We take immeasurable pride in our stone craftsmenship here at Sandscapes Landscaping. Each job is treated with the utmost precision with complete attention to detail. What a great way to make your season last a little longer! Outdoor fireplaces are a great place to gather any time of year. Fireplaces can be gas or wood burning, and finished with stone. Fire Pits are also available with a range of options and designs to suite all tastes, and budgets! These outdoor features are becoming more and more popular in our area for year round residents and also to enhance rental property amenities. From a simple outdoor grill, to a fully equipped exterior kitchens, Sandscapes can handle it all and create wonderful kitchen areas to be enjoyed for years to come. 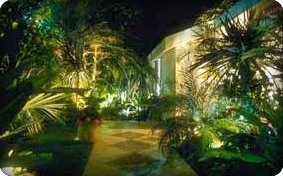 Low-voltage landscape lighting is not only practical, it also adds ambience to your outdoor area. Sandscapes can help design and install lighting to any Outer Banks’s home exterior area to enhance and illuminate! Small or large, Water Features are a great accent in your landscape. Sandscapes Landscaping can create whatever you might imagine! 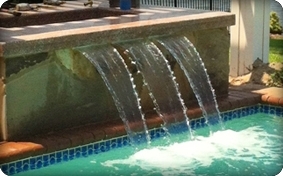 Not only do our water features add vaulue to your home, they also help reduce stress with their calming sounds.